Every aspect in life has an uplifting good side and an unexplored dark side. This applies to every sphere of life and Fine Arts is of no exception in this regard. As Cinema itself can be regarded as an art form, there have been many films which focus on the topic of Fine Arts. 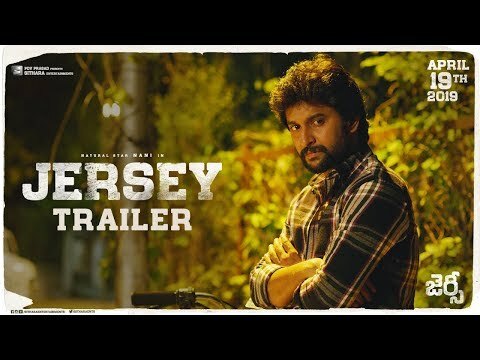 Telugu Cinema has a series of Fine Arts related movies where they speak about the grandeur, brilliance and how wonderfully an Art practice can bring a metamorphosis to an individual. 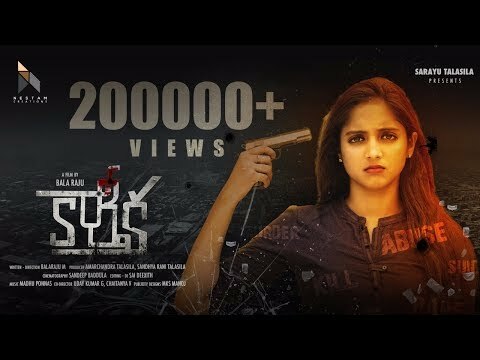 But there is perhaps only one film in Telugu which focused on the emotional dark side of an Artist, the terrible changes it causes to his life throughout the film’s progress- That film is none other than Kala Tapasvi K.Vishwanath’s creation Swathi Kiranam. Our world lives in dualism- Day and Night, Good and Bad, Activity and Laziness: Such list is unlimited. Every aspect in life is based on this dual nature of things. If the World itself is dual, how can a person escape such nature? Swathi Kiranam is called an unmistakable epic because it explores the hidden side of a successful Carnatic Music exponent- his inner fears, his insecurities just because he watches a child prodigy grow in front of his own eyes. The audience or the remaining characters would easily feel how can he find a young artist to be a threat for a great carnatic exponent’s musical journey. But the brilliance of K.Vishwanath is seen in the film where he wonderfully portrays the common insecurity which every musical performer faces- and it is highly important that any artist should be free from his ego to live at peace. 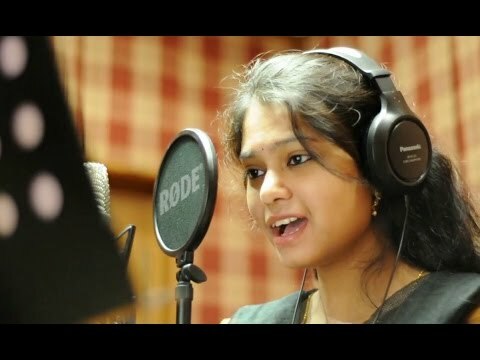 Swathi Kiranam is like a different ray of sunlight which makes the audience ponder, and realize that even a practicing musician can get carried away by his insecurities leading to terrible incidents in a highly artistic fashion. 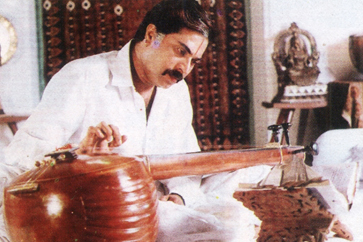 Anantha Sharma (Mammootty) is a highly accomplished carnatic music exponent and renowned by many as a role model. His knowledge in the field of Carnatic music is immense, and he is obviously too pleased with himself regarding the same. However, he is highly egoistic and bold enough to turn down the prestigious Padmashri award given by the Government of India. His wife (Radhika) is also into music and a great supportive wife in personal as well as his artist career. 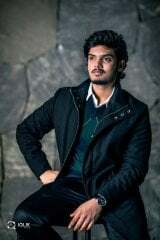 Anantha Sharma often feels he is almost invincible in the world of Carnatic Music and there is nobody who can challenge his knowledge or expertise in it. It is just when a young boy Gangadharam (Master Manjunath) arrives to the scene. He is a jovial boy who has all the fun related interests which boys of his age has- like wandering around the town with friends, enjoying modern music, joyful way of living and so on. 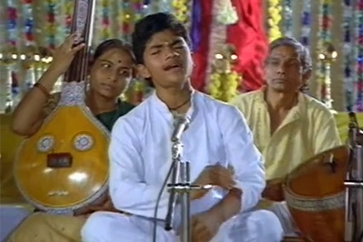 He learns music from a local guru (Jayanthi) who instantly finds Gangadharam exceptional in the way of learning music. Instead of following the text book way of learning music, Gangadharam always thinks of innovation and tries to compose a new tune for the regular prayer song in school as well. He belongs to a lower middle class family where his parents (Dharmavarapu Subrahmanyam and Dubbing Janaki) have a small hotel business. Gangadharam’s teacher thinks of showing his talent to Anantha Sharma’s wife and the latter gets instantly impressed with his flawless and innocent way of singing. She plans to make Gangadharam sing in front of Anantha Shama so that her husband can give some guidance for the young singer on how to perform. Anantha Sharma gets taken aback with Gangadharam’s spirited way of singing without compromising on the musical essence. Within himself he is highly impressed with the child prodigy but his carnatic staunch ego doesn’t let him appreciate it explicitly. 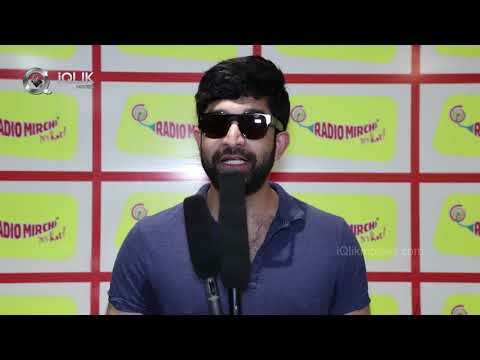 One such situation occurs when Anantha Sharma is given a task to compose a song written by a Spiritual Guru, he strives hard to compose a tune and finalizes one. But Gangadharam sings the same song in a different yet better tune in music competition for which Anantha Sharma is the judge. Anantha Sharma struggles to accept that the boy’s version is much better than what he composed, while his wife grows extreme fondness for the boy because they are childless couple. Anantha Sharma decides to make Gangadharam his student and very soon he comes to know that the latter is indeed a child prodigy and finds a threat to his greatness. What are the consequences which happen as a result of this jealousy, threat and insecurities? How did Gangadharam feel when he realized that his guru finds him as a threat? The film answers all such thought provoking questions. 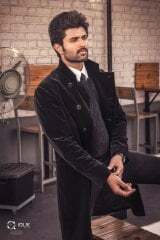 Mammottty is flawless as the lead role Anantha Sharma in the film. His varied performance- initially as a proud musician, and later who is insecure with the child prodigy’s talent is exceptional to the core. 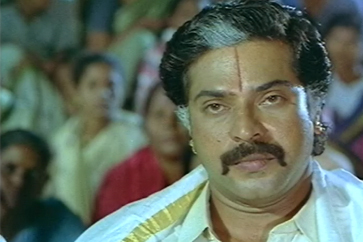 The scene where he bursts out on Gangadharam about his insecurities can be termed as one of the best scenes in Telugu Cinema. 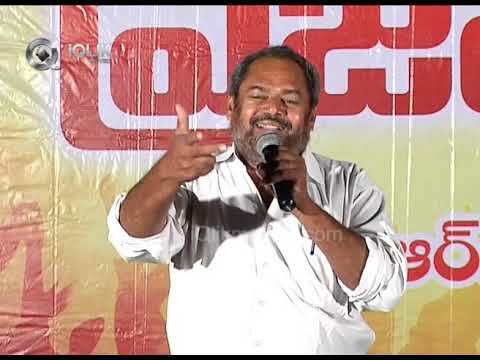 Master Manjunath gives a memorable performance as Gangadharam with great body language, facial expressions and his stance as a carnatic performer won many hearts in Andhra Pradesh. The best feature of him is the sparkling smile which speaks of the innocence in his character. Radhika is mesmerizing as the considerate wife to Anantha Sharma as well as a concerned motherly person to Gangadharam. It is indeed her character which makes the film stable throughout , and her pristine nature is reflected throughout the film. Dharmavarapu Subrahmanyam is phenomenal as the lower middle class father to Gangadharam, who dreams of making his son a great artist. Ananth, Achyuth, Jayanthi , Sakshi Ranga Rao and so on are brilliant in their respective roles. Dialogues written by Jandhyala are thought provoking and heart touching. 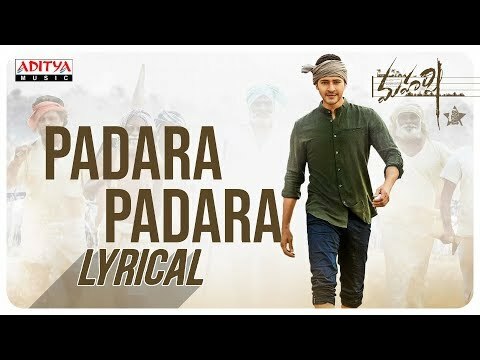 The line where a tormented Gangadharam says ,” Mimmalni choosthe maa amma gari la anipisthunnaru..kaani ayyagaru endhuku thandri la kanipisthunnaro ardham kavatledhu” (“While I can see a mother in you, I don’t know why I am unable to see a father in sir!”) to Anantha Sharma’s wife can make anybody tearful. Music is an essential lifeline of the film. Every song is a unique composition where all the songs rendered by Anantha Sharma are commanding and aggressive, the songs rendered by Gangadharam are mellowed, fresh, spirited yet brilliant. “Aanati Neeyara”, “Theli Manchu”, “Shivani Bhavani”, “Shruthi Neevu”, “Sangeetha Sahitya”- name every song in the film- it is a masterpiece. Direction by K.Vishwanath is fantastic and visually flawless making it a great artistic film. During the composing sessions of this film, the music director K.V.Mahadevan was quite ill and hospitalized. Hence his close associate Pughazhendi composed all the songs in this film. But his devotion towards K.V.Mahadevan is so high, that he credited his guru’s name instead of himself. Veteran singer Vani Jayaram lent her voice for all songs sung by Gangadharam in the film and she is absolutely fantastic. SPB gave life to the character of Anantha Sharma with his commanding and aggressive voice for each of the songs rendered. The song “Aanati Neeyara” is written in Thyagaraja Pancharatna Krithi style by Sirivennela Sitaramasastry. Pancharatna Krithis are unique compostions where there are numerous charanams which progress into a crescendo. Sirivennela’s writing is so impactful that one can easily regard this composition on par with any Thyagarja’s Pancharatna Krithi. Needless to say, this song fetched best female playback singer award for Vani Jayaram. Swathi Kiranam is perhaps the only film to have same lyrical compositions sung by different singers. But the compositions are strikingly different. 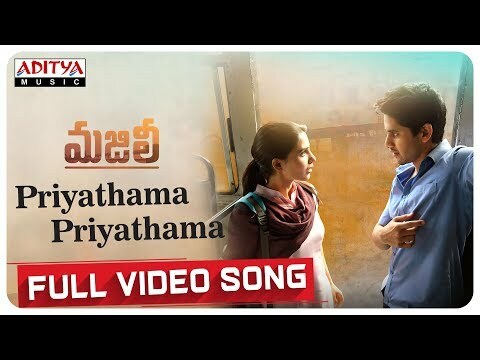 Pranathi Pranathi is first sung in Naata by the character of Anantha Sharma which is tuned in a different way again for Gangadharam to sing brilliantly. 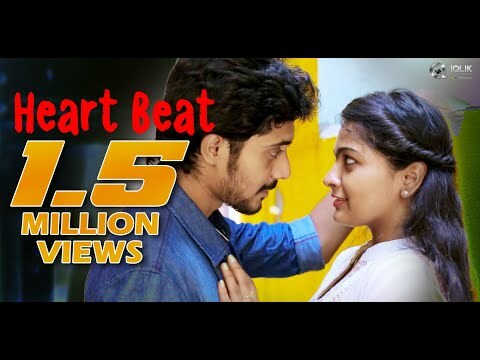 Shivani Bhavani on the other hand is sung in the same tune but with different emotional levels by the two lead characters Anantha Sharma and Gangadharam respectively. 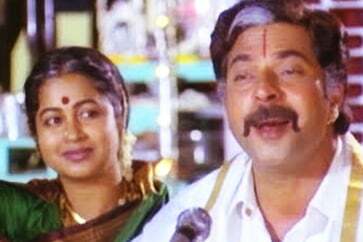 The film had two greatest playback singers in South India- Chitra and Vani Jayaram sing “Shruthi Neevu “ together for the first and last time ever. 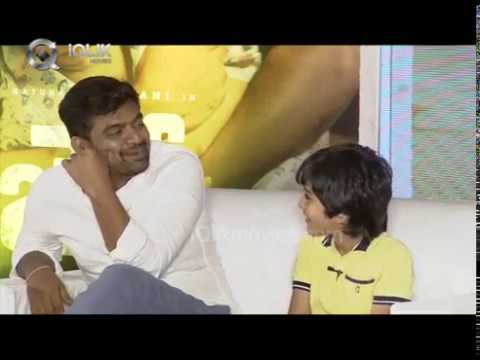 The lead actor Master Manjunath is a noted face in Television those days with his imminent performance as a child in the TV adaptation of R.K.Laxman’s Malgudi Days. National Award for Best Female Playback singer- Vani Jayaram for the song Aanathi Neeyara.